Melodic, moving and memorable: Jadewood unites a shimmering modern sound to the expressive clarity of their songs. With their new CD, In These Walls, the band expands on a homegrown sound to encompass a larger musical and conceptual panorama. Still, what hasn't changed is the organic nature of the music and the camaraderie between the three musicians, a trio of young Texans; Elias Sanchez, lead vocals and guitars; Saul Sanchez backup vocals and bass and Lee Cerda, drums, whose signature sound that is much more than simply the sum of its parts. Producer Randy Miller � notable for his work on multiple Grammy-winning projects with La Mafia � was behind the board at Tierra Studios as the band brought in 30-40 possible songs, and tracked the strongest ones for the project. Houston, Texas, the nation's fourth largest city and the band's hometown, boasts metal, emo and experimental scenes, and Jadewood's radio friendly sound might seem an anomaly. "It's pretty different, more commercial. It's nothing we intentionally do, it's just the way we write," says Elias. 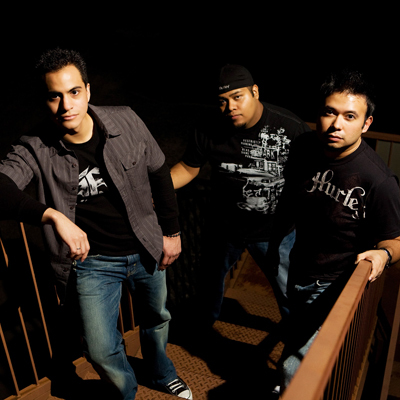 All three members contribute to the songs as they evolve naturally over time. 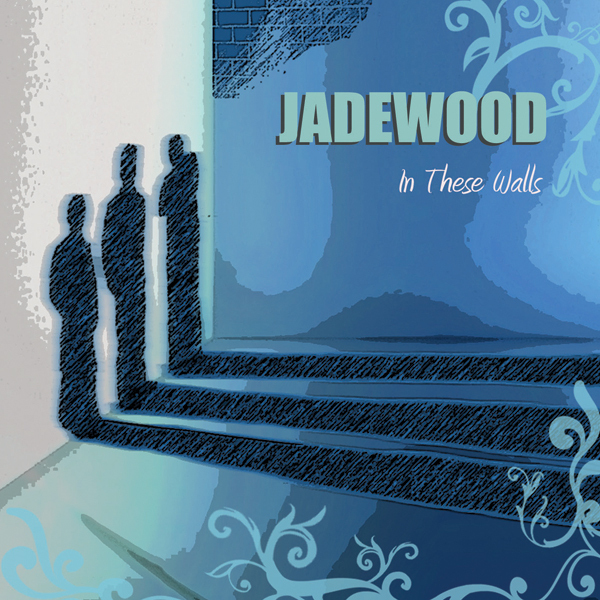 Jadewood, the band's name, is derived from the street where a converted shed was their first rehearsal room. "We wanted a name to commemorate where we started from," notes Saul, who says that the band has since moved up to a larger space. "It was hot in there � it gets pretty humid in Houston." The members of Jadewood have diverse musical backgrounds: Lee, who first played accordion, would jam on Tejano standards with his dad's friends at parties. Eventually, he expanded his instrumental repertoire to include keyboards, guitar and drums. Uniting in a duo with Elias, a self taught guitarist and emerging songwriter, the two invited Elias' cousin Saul, a musician raised on oldies and classic rock, to become a part of the band when he became proficient on bass, an instrument that he also learned on his own. One more change would determine the final lineup: after auditioning perspective drummers, Lee took over the stick duties. The band takes advantage of their stripped down sound by sometimes performing acoustically, allowing them entree into listening rooms where they can meet new fans in an intimate environment. Prophetically, with the romance in their melodies and lyrical themes, their audience is often weighted to the female side. "Love is a strong emotion that everyone is connected with," Elias notes. "If there's angst, or a breakup or a bad relationship, one way to get that out creatively is to write music. You write about what you know about." The title of their latest CD, In These Walls, reinforces this creed as it reflects the band's origins in their undersized practice room, with four walls around them. It remains a vial touchstone, as the core of the sound, the streamlined simplicity of three friends creating music, is not dependent on studio gloss or production techniques to give it emotional resonance. "It's organic," Lee concludes. "I like to think that if we stripped it down to a box and an acoustic guitar, people would still like it." * Your song 'Beautiful' has just been added to Variations Of Mood station! IMP Your song 'Beautiful' has just been added to Choice station! IMP Your song 'Beautiful' has just been added to Dig It station! IMP Your song 'Beautiful' has just been added to Greatest Clicks station! IMP Your song 'Beautiful' has just been added to JUST LISTEN! station!